REBECCA HALE is the immediate past President of the American Humanist Association and serves on the board of Humanists International. A lifelong Humanist, she didn't know there was an AHA until 1996. She was born in New York City to Humanist parents, although they called themselves Unitarians. Throughout her upbringing and life the focus has always grounded on a life philosophy of personal responsibility. If there is something that needs doing it is incumbent on each of us to do what we can towards getting it done. This carries through on all aspects of life; from cleaning up after dinner to cleaning up the environment. Keeping informed about and involved in politics is a critical part of taking personal responsibility. It is impossible for anyone person to be informed on all the issues of the day, and so, supporting and being involved with the Center for Freethought Equality is the perfect organization. In 1976 Rebecca received her MPA (Master in Public Administration) and embarked on a career in government, real estate development, and college administration. In 1993, observing the unsavory effects of the rise of evangelical Christians in Colorado Springs, her husband and she started the Freethinkers of Colorado Springs and subsequently their web based business, EvolveFISH.com (They sold EvolveFISH in 2016). In 1997 EvolveFISH was asked to take over the Humanist Book store, by its founder Lew Dunlap. They attended the 1998 AHA convention and every convention since (except 1999, that is the weekend their daughter, Tani, was born!) Attending the conventions she discovered the AHA and found her philosophical home. Being a humanist makes Rebecca a better person. 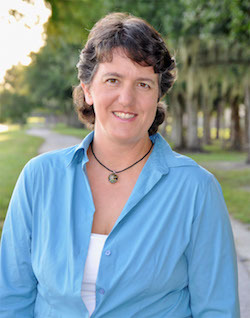 JENNIFER HANCOCK, Secretary, is a mom, the owner and founder of Humanist Learning Systems and author of 10+ books on applied Humanism that have been translated into 5 languages. 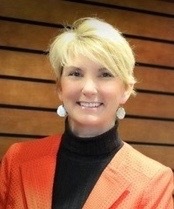 Jennifer is unique in that she was raised as a freethinker and is considered one of the top speakers and writers in the world of Humanistic Management today. Her professional background is varied including stints in both the for-profit and non-profit sectors. She has served as Director of Volunteer Services for the Los Angeles SPCA, sold international franchise licenses for a biotech firm, was the Manager of Acquisition Group Information for a ½ billion dollar company and served as the executive director for the Humanists of Florida. Hancock is committed to the promotion of humanism and the application of humanistic approaches to all forms of problem solving. She currently serves on the board of the USA chapter of the International Humanistic Management Association (IHMA) and the goals include a policy agenda. She has a non-profit management background and an interest in seeing humanistic values and critical thinking applied to public policy. GAYLE JORDAN is a former Southern Baptist who left the faith 10 years ago when her then-teenagers began asking questions she could not answer. Her research led her (and her children) into the light of reason and rationality. Years later, she still feels the effects, both positive and negative, of that dramatic shift in perspective and attitude. It is this sympathy and compassion that drives her to reach out to help others navigate the emotional and physical process involved in leaving one's faith. Gayle is the Executive Director of Recovering from Religion, and ran for the Tennessee Senate in 2016 and 2018. She is an attorney and former personal trainer. HOWARD KATZ, President. In his early teenage years Howard Katz studied world religions—questioning why he was brought up to think that his religion was the "right" one and everyone else's was wrong—they of course had the same mindset. Through years of looking into other's viewpoints, he grew away from any belief in supernaturalism or organized religion. In his 20s Katz was introduced to Humanism as a formal philosophy, and he joined the American Humanist Association—well over 30 years ago. Community involvement is important to Katz - serving with the Humanist Society as a board member, president, and Celebrant; ACLU; IL NOW as an officer; and the local Americans United as a board member, as well as the local AHA Chapter. He has served on several state and local oversight boards that monitor services to the disabled and mental health communities, held multiple public offices, and is a 24+ gallon blood donor. Katz currently serves as an officer of his County Democratic organization, as Parliamentarian, and in 2017 was elected the Batavia (IL) Township Clerk. 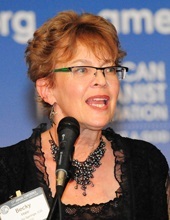 As an AHA Board member, Katz has served on the Chapter, Awards, donor, Humanist Charities and policy committees, helped formulate the current Bylaws, represented the AHA at numerous speaking events and information tables throughout the Midwest, as well as working with local groups to help them form AHA chapters. 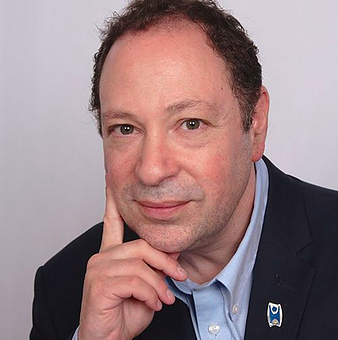 DAVID ORENSTEIN, Treasurer, is a steadfast advocate and activist for reason, rationality and science education. He has proudly stood for the philosophy and the motivations of living a good, gentle and humanistic life. His worldview is founded on these humanist principles and he has worked for the cause of secularism and the expansion of both secular and nonbelief freedoms. He concludes that joy comes from within when it is meshed with the ideas that we are part not only of one human family, but also a firm part of the cosmos and its evolution. 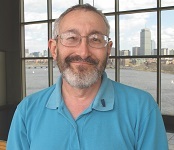 Orenstein serves as a full professor teaching anthropology at the City University of New York. His publications for Humanist Press include 2015’s, Godless Grace: How Nonbelievers are making the world safer, richer and kinder and the coming 2018 publication of Darwin’s Apostles, which focuses on Charles Darwin and the scientists who popularized and advocated for natural selection. He has also published in print and online humanist and atheist publications, as well scientific and political presses. In addition, Orenstein serves as the American Humanist Association representative to the United Nations and as an ordained humanist clergy. He is also a well-regarded speaker on a variety of humanist topics and ideas central to the Humanist Manifesto. 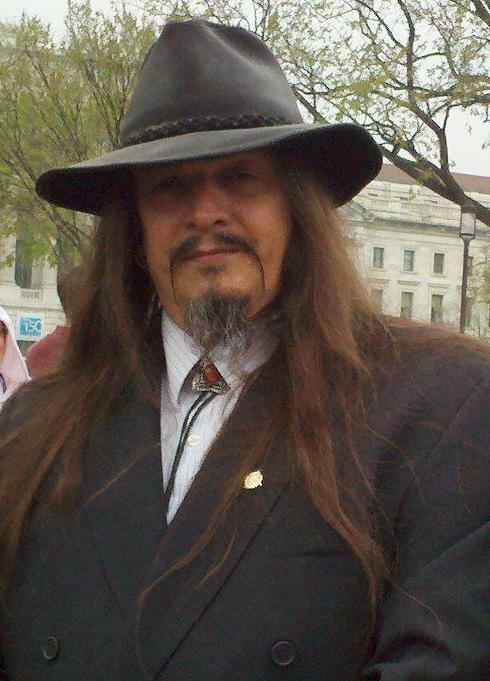 ARON RA is a science communicator and secular activist with over 180,000 subscribers to his YouTube channel. His videos promoting scientific skepticism, secular politics and humanist values have been mirrored, featured, referenced, and recommended by many professional scientists, secularists, and educators. He is the Southwest Regional Director of American Atheists, an ordained Dudeist, and director of the Phylogeny Explorer Project, a navigable online encyclopedic depiction of the entire taxonomic tree of life. He also produces the Living Science Lessons classroom supplement video series, teaching middle school and high school biology according to the “Next Generation” national standards. These unapologetically include explanations of evolution, climate change, deep-time and other topics considered to be culturally controversial in America’s “Bible Belt”. JOHN WAGNER, Vice President, is a long-term supporter of the American Humanist Association. He serves on the board of the Secular Humanist Society of New York and he represents the International Humanist and Ethical Union at the United Nations. Dr. Wagner is also active in politics. He chairs the Secular Coalition for New York, which lobbies for citizens with a secular point of view on state and local issues. He also is on the board of the Four Freedoms Democratic Club, which promotes progressive policies in New York. He is passionate about the importance of fighting for values that are developed on the basis of rational discourse, humanistic values, and scientific investigation. John is a Professor of Neuroscience and Professor of Cell Biology & Genetics at the Weill Cornell Medical College in New York City.